Ben Stiller's "Brad's Status" is another movie to get engaged together with the whole family. Most of “Brad’s Status” takes place on a visit to east-coast colleges, where Troy — who’s something of a musical prodigy — stands a good chance at being accepted to Harvard U. And yet, instead of being elated for his son’s success, Brad is preoccupied with the fact that his own college buddies appear to be much richer and happier than he is. Without giving anything away, the movie builds to a classical music recital in Cambridge, Mass., and there, dead-center in the audience, is Brad, playing world's smallest violin. Being that said, comedy, drama and a whole lot of family life lessons can be seen in the entire film. Also, there is a certain cutting-edge truth to the self-analysis Brad goes through in trying to determine if he just has somehow missed the boat in life that everyone else seems to have caught. Or is Brad’s status really more as a stand-up guy that a person society says has “made it”? Could the value of a life be something else entirely? 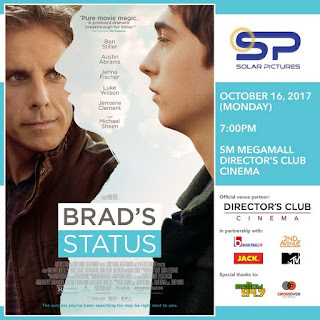 So, with all of that and more, "Brad's Status" for sure is going to be one epic family movie again, same as all of those movies in which Ben Stiller was able to make a top hit in our local cinemas. Just like "Night at the Museum" and "Night at the Museum 2". 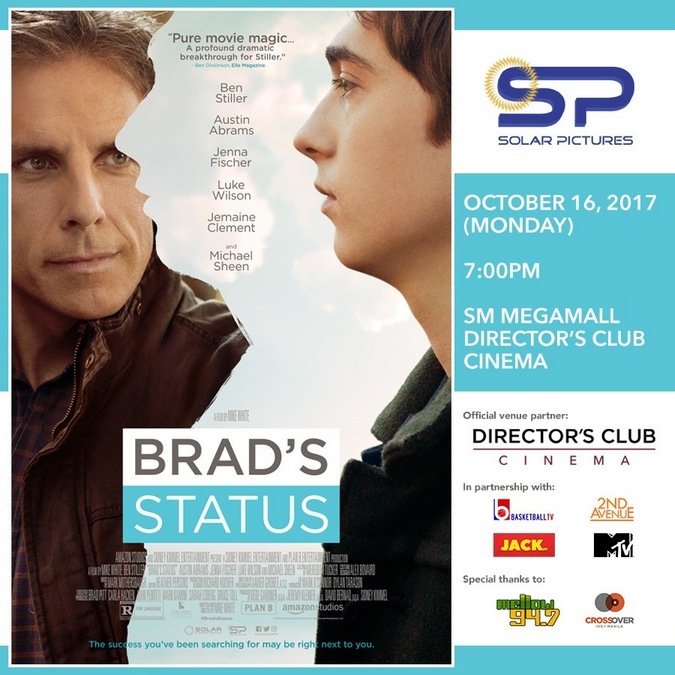 "Brad's Status" will premiere this Monday, October 16 at SM Megamall Director's Club Cinema. 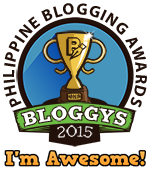 This film is brought to you here in the Philippines by Solar Pictures.